The Science of Names is one of the foundamentals of the Traditional Roman Spirituality. This is a very complex discipline which today is essentially quite unknown, because the mindset behind the language and the alphabet is completely changed compared to the past. Today the letters, the signs, the language itself do not have any sacred or symbolic value. In the past on the other hand they had a very strong bond with the religious dimension. This Science, about which I have only modest basics (I'm just a cultor and Pater Familias), should be thoroughly mastered by anyone who calls himself/herself augur and pontifex. Instead, very often I realize that these people (certainly very interesting from a folkloric point of view) do not know what you're talking about and completely ignore the existence of this Holy Discipline. In the Traditional Roman Spirituality, the names, their values, their knowledge and their exact pronunciation are essential tools to recognize the divine forces and the forces of Nature. Nature itself conceals within itself an alphabet, letters, signs which must be discovered, studied, interpreted. Everything in the universe is a vibration and speaking is a form of materialization of these vibrations. Sounds result from signs, words result from sounds. These vibrations, sounds, words that make up the universe and all beings, can not be heard because they are hidden. All this implies a form of special knowledge of something that normally - for the profane men and women - remains forever hidden. Due to the fact that these letters, these names, these sounds are "naturally hidden," it is important that, once known, not to be profaned or pronounced unnecessarily because they can lose their power (as in the case of the secret name of Rome): the sacred names must therefore remain "secret". Knowing a sacred name implies the knowledge of his force and this may render the practice of Evocatio viable. For this reason, all things have three names: the public name (impure), the magic name (partially pure), the secret-sacred name (pure). The pronunciation of the sacred name - the real name - is a "subtle sound that creates a being" not only in the physical world, but also in the metaphysical sphere. The knowledge of the holy, real, hidden names, their exact intonation and pronunciation, are not only linked to the sound vibration: the word (Vox) is based on the concept of logos which is also the ability of rational thought (Mens). It is thus not enough to pronounce a sacred name with a certain tone of voice, primarily because one must have the ability to correctly pronounce the holy names in his/her own heart. These names must first vibrate within us, otherwise they are just noise. The ability of the holy names in generating these inner vibrations depends on to the fact that they "contain the same meaning of the things that are named", they are the result of the same force they inherently contain, they reveal hidden meanings. They are not accidentally created, their sound articulation have the power to influence the reality. The combination of certain letters to form precise terms, their phonetic articulation, reveal the meaning of the occult forces that materialize in these divine names: the syntactic structure (Carmen) of an invocation is therefore a form of revelation of reality, it announces the occurrence of an event, it is a form of revelation. The sacred language contains universal symbols, the Divine and Nature's nature: it interprets the reality, it shows the true meanings. The Science of Names, therefore, aims to reveal the true reality (not the profane appareance) of the named entity, indicate the exact relations between the macrocosm and the microcosm. The ritual use of the Science of the Names highlights the particular forms that the Divine can take; by this perfect knowledge comes the very effectiveness of the relationship with the Divine. Writing becomes the crystallization of a system of signs with a high symbolic and oracular value at the base (literature) of Nature, Divine and Human things. This therefore refers to a language that could be called "natural" because it interprets the meanings (signa) of nature and reveals the rhythms, revealing at the same time, the presence and the will of the Gods and Goddesses. The proper use of sacred-real names, their pronunciation, their transcription are a reflection of the cosmic and natural harmony. For this reason, the augur or the pontifex who master this science, through divination, can reveal and interpret the meaning of the signs (even in the form of events, numbers, geometric shapes, sounds, astral symbols, colors, etc ...): from this derives the concept of nomen-omen. The perfect capacity in narrative exposition (as well as in reading aloud) is a symptom of (inner) order resulting from the proper use of thought and speech. The term nomen therefore can not be translated in terms sacred, just as "name": in sacred terms, it cannot be used just to identify something. It materializes the same thing because it's the name that makes it what it is. It is his nomen. Naming things (nominatio) means, in sacred terms, create them, make them exist. This means that, with regards to the Gods and Goddesses, the nomen is the substance, the essence of the numen. The name indicates not only a force, but it is that force locked up in that name. This is also the basis of Indigitamenta or fixing the names of Gods and the occasions in which they can be invoked: these names contain the power of the Deity. With his name Divinity reveals itself as real becoming visible, perceptible to the human spirit. The knowledge of the Divine Names, articulated in invocations and carmina, is a power. Esoterically, spiritually and in non profane terms, those who know the real name of the Gods and Goddesses, having the ability to identify them correctly, have the power to relate to them because they can invoke them through their exact and true names. This explains why in the Traditional Roman Spirituality Cultores and Cultrices do not pray in a profane sense simply because Gods and Goddesses do not pay attentio to the noise (supplications or prayers), but they come into contact, they come to us. The establishment of this relationship creates a divine foundation (fas). From this also follows that each of us has a sacred name that has no relationship with our profane/public name. It 's very difficult that our secret name can be revealed: it often remains in a dormant and incomprehensible state to us. The Science of Names is therefore the knowledge of the Words of Power because they are words that create, that express the deepest dimension of the Real. From these brief and superficial considerations some additional considerations can be made. First, it emphasizes the sacred character of the Latin language (the same can be said of ancient-greek language as well as all other ancient languages​​). This character has been completely lost in modern languages ​​which, for this reason, are referred as "vulgar." This explains why Latin is so difficult to translate for the absence, in modern languages​​, of words with similar symbolic power. Then, one can realize the close relationship that existed in the past between Law (jus) and religion as well as the importance that the ancients attributed to the oratory ars. The Science of Names, as basis and foundation of the Traditional Roman Spirituality, highlights how different can be the perspective of the relationship that Cultores and Cultrices may have with the Divine compared to the modern forms of profane religion. We are dealing with, it should still be stressed again, a real everyday practice, never showing anything devotional and sentimental, which can lead to an awakening, a different form of knowledge and perception of the world and the universe, the palingenesis. La Scienza dei Nomi è uno dei fondamenti principali della Spiritualità Tradizionale Romana. Si tratta di una disciplina molto complessa di cui oggi è rimasto fondamentalmente molto poco, anche perchè è cambiata completamente, rispetto al passato, la forma mentis alla base del linguaggio e dell'alfabeto. Oggi le lettere, i segni, il linguaggio stesso non hanno più alcun valore sacro o simbolico: in passato invece avevano un legame fortissimo con la dimensione religiosa. Questa Scienza, di cui io stesso posseggo solamente dei modesti rudimenti (sono solo un Cultor e Pater Familias), dovrebbe essere perfettamente padroneggiata da qualsiasi persona che si fa chiamare augur o pontifex. Invece molto spesso mi accorgo che queste persone (sicuramente molto interessanti da un punto di vista folcloristico) non sanno di cosa si stia parlando ed ignorano completamente l'esistenza stessa di questa Disciplina Sacra. Nella Spiritualità Tradizionale Romana, i nomi, il loro valore, la loro conoscenza e la loro esatta pronuncia sono strumenti essenziali per riconoscere le forze divine e le forze della Natura. La Natura stessa cela dentro di sè un alfabeto, delle lettere, dei segni che devono essere scoperti, studiati, intepretati. Tutto nell'Universo è vibrazione ed il parlare è una forma di materializzazione di queste vibrazioni. Dai segni scaturiscono i suoni, dai suoni le parole. Queste vibrazioni, suoni, parole, che compongono l'universo ed ogni essere, non sono udibili perchè sono occulte. Tutto questo implica una forma di conoscenza particolare di qualcosa che normalmente - agli uomini e alle donne profane - rimane per sempre occulto. Per il fatto che queste lettere, questi nomi, questi suoni sono "naturalmente occulti", è importante che, una volta conosciuti non vengano profanati o pronunciati inutilmente perchè possono perdere la loro forza (come nel caso del nome segreto di Roma): i nomi sacri devono pertanto rimanere "segreti". Conoscere un nome sacro di un essere vuol dire conoscere la sua forza e quindi poter operare su di esso anche la pratica dell'evocatio. Per questo tutte le cose dispongono di tre nomi: quello pubblico (impuro), quello magico-rituale (parzialmente puro), quello sacro-segreto (puro). La pronuncia del nome sacro - del nome vero - è un "suono sottile che genera un essere" non solo nel mondo fisico, ma anche in quello meta-fisico. La conoscenza dei nomi sacri, veri, occulti, la loro esatta intonazione e pronuncia, non si legano alla sola vibrazione sonora: la parola (Vox) si fonda sul concetto di logos che è anche capacità razionale del pensiero (Mens). Non si tratta quindi di limitarsi a pronunciare un nome sacro con una determinata intonazione di voce, poichè primariamente bisogna disporre della capacità di pronunciare correttamente i nomi sacri nel proprio animo. Questi nomi devono prima di tutto vibrare dentro di noi, altrimenti sono solo rumore. La capacità dei nomi sacri di generare queste vibrazioni interiori dipende dal fatto che essi "contengono lo stesso significato delle cose che vengono nominate", hanno cioè una forza intrinseca simbolica da cui essi stessi sono scaturiti, rivelano i significati nascosti. Essi non sono mai quindi frutto del caso, non hanno un'articolazione sonora ininfluente sulla realtà. La combinazione di determinate lettere a formare dei termini precisi, la loro articolazione fonetica, svelano il significato delle forze occulte divine che si materializzano in questi nomi: la struttura sintattica (carmen) di un'invocazione pertanto è una forma di disvelamento della realtà, annuncia la manifestazione di un evento, è una forma di rivelazione. Il linguaggio sacro contiene dei simboli universali, le lettere divine e della natura, interpreta la realtà, mostra i significati più veri. La Scienza dei Nomi mira quindi a rivelare la realtà vera (non l'apparenza profana) dell'ente nominato, indica le corrispondenze esatte fra il macrocosmo ed il microcosmo. L'uso rituale della Scienza dei Nomi evidenzia le particolari forme che può assumere il Divino: dalla sua perfetta conoscenza deriva l'efficacia stessa del rapporto con il Divino. La scrittura diventa la cristallizzazione di un sistema di segni a forte valenza simbolica ed oracolare che sono il fondamento stesso (letteratura) della Natura, delle cose Divine e delle cose umane. Tutto questo si riferisce quindi ad un linguaggio che potrebbe definirsi "naturale" perchè intepreta i significati (signa) della Natura e ne svela i ritmi, svelando allo stesso tempo la presenza e la volontà degli Dei e delle Dee. L'uso corretto dei nomi sacri-veri, la loro pronuncia, la loro trascrizione sono un riflesso dell'armonia cosmica e naturale. Per questo l'augure o il pontefice che padroneggia questa scienza, tramite la divinazione, può svelare ed interpretare il significato dei segni (anche in forma di eventi, numeri, forme geometriche, suoni, simboli astrali, colori, ecc...): da ciò deriva il concetto di nomen-omen. La perfetta capacità espositiva (anche nella dizione e nella lettura a voce alta) è sintomo di ordine derivante dal corretto uso del pensiero e della parola. Il termine nomen non può essere quindi tradotto, in termini sacri, semplicemente come "nome": esso non si limita ad individuare una cosa. Esso materializza la cosa stessa perchè è il nome che la fa essere ciò che è. Essa è il suo nomen. Dare un nome alle cose (nominatio) significa, in termini sacri, crearle, farle esistere. Questo significa che, per ciò che riguarda gli Dei e le Dee, il nomen è la sostanza, l'essenza del numen. Il nome non indica solo una forza, ma è quella forza rinchiusa in quel nome. Tutto questo è inoltre alla base degli Indigitamenta ovvero la fissazione dei nomi delle Divinità e delle occasioni in cui essi possono essere invocati: questi nomi contengono la potenza della relativa Divinità. Con il suo nome una Divinità si rivela come reale e diventa visibile, percepibile allo spirito umano. La conoscenza dei nomi Divini, articolata nelle invocazioni e nei carmina, è quindi un potere. In senso esoterico, spirituale e non-profano, chi conosce il vero nome degli Dei e delle Dee, e sa quindi identificarli correttamente, ha il potere di relazionarsi con loro perchè li può invocare con il loro nomi esatti e veri. Questo spiega perchè nella Spiritualità Tradizionale Romana i Cultores e le Cultrices non pregano in senso profano: semplicemente perchè gli Dei e le Dee non ascoltano il rumore (suppliche o preghiere), ma entrano in contatto, vengono da noi. La creazione di questo rapporto genera un "fondamento divino" (fas). Da questo deriva anche che ciascuno di noi ha un nome sacro che non ha alcuna relazione con il nostro nome profano/pubblico. E' molto difficile che questo nostro nome segreto ci possa essere rivelato: esso spesso rimane in uno stato dormiente e per noi incomprensibile. La Scienza dei Nomi è quindi la conoscenza delle Parole di Potenza perchè sono parole che creano, che esprimono la dimensione più profonda del Reale. Da queste brevi e superficiali considerazioni si possono trarre alcune ulteriori considerazioni. Innanzitutto si evidenzia il carattere sacro della lingua latina (lo stesso si può dire della lingua greco-antica così come di tutte le altre lingue antiche). Questo carattere è andato completamente perduto nelle lingue moderne che, anche per questa ragione, sono definite "volgari". Questo spiega perchè il latino sia così difficile da tradurre anche per la mancanza, nelle lingue moderne, di parole dotate di simile potenza simbolica. Si comprende poi lo stretto legame che esisteva in passato fra il diritto (jus) e la religione così come l'importanza che gli Antichi attribuivano alla ars oratoria. La Scienza dei Nomi, come presupposto e fondamento della Spiritualità Tradizionale Romana, mette in luce quanto diversa sia la prospettiva del rapporto che i Cultores e le Cultrices possono avere con il Divino rispetto alle forme moderne e profane di religione. Si tratta, giova ancora sottolinearlo, di una vera e propria pratica quotidiana, che non ha mai nulla di devozionale e sentimentale, che può condurre ad un risveglio, ad una differente forma di conoscenza e percezione del Mondo e dell'Universo, alla palingenesi. 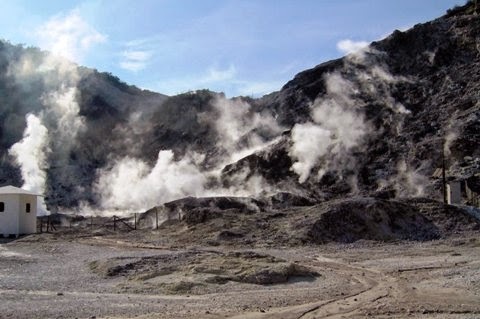 I live in a volcanic area with many sulfur places and springs. These places are all imbued with the presence of Mefitis. Mefitis is an ancient Italic Deity whose cult and memory still survive in many areas of Central Italy. Her name brings to mind the image of places with unhealthy unbreathable, sulphurous, stinking air from which comes the word "mephitic" just to indicate a nauseating smell and places where life can take root. Christianity has associated Mefitis to a demonic and negative force: here christians place the gates of hell, places of eternal punishment and suffering. However, in the Roman religious tradition, Mefitis has not a negative feature. Quite the contrary. First of all these places and the same Mefitis are associated with the chthonic underworld and, in particular, to those energies that have the ability to link together the four basic elements of the universe: water, fire, earth, air. Here the subterranean fire melts the rocks and metals, the water turns to steam and release the gas hidden underground that date back to the surface of the earth. Mefitis is therefore related primarily to Tellus and Mefitis is a direct offshoot of the same Tellus: Mefitis derives from the "Womb of the Earth." She is therefore a feminine force that gives life and takes life. In the past, many people went to these places firstly because they knew the healing properties of the vapors that here one could inhale. 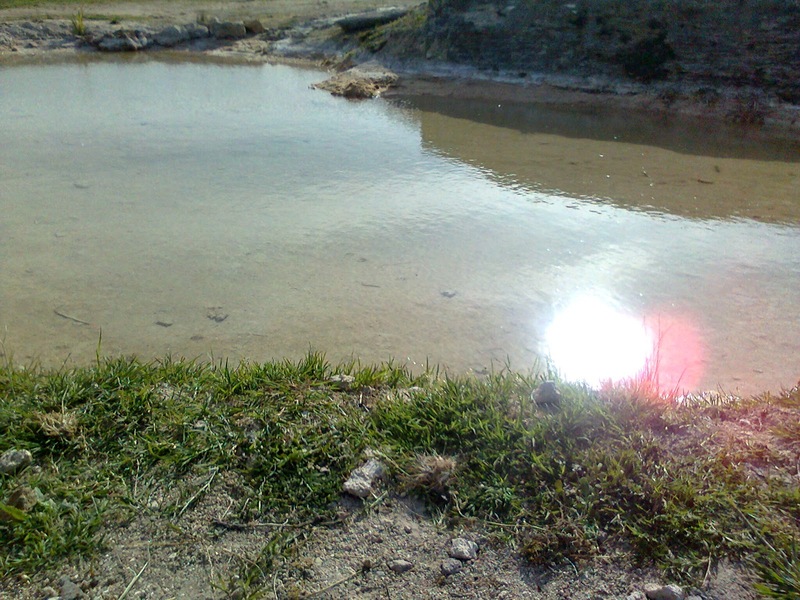 Even today, many people come to these very hot sulphurous springs to remedy many diseases of the respiratory system, to make therapeutic baths for skin, etc ... In fact, in many of these sites have been found numerous ancient ex voto dedicated to Mefitis. In addition, these vapors could cause the trance and then became sites devoted to divination. Even for their so peculiar conformation, these places provide great inspiration for meditation, contemplation, visions ... This should, however, be carried out with the support of a tutor. All this (feminine force, healing, medicine and magic, divination) then explains why with the advent of Christianity Mefitis and the sites dedicated to her have been linked to the Devil and witches. Mefitis, as many Italic and Roman Ancient Deitites, does not have an anthropomorphic representation: she appears symbolically in the form of nauseating steam. We must therefore have great respect for these places and every time I approach these sites, my thoughts always go to this ancient Goddess. Io vivo in una zona vulcanica, ricca di siti e sorgenti sulfuree. Questi luoghi sono tutti permeati della presenza di Mefitis. Mefitis è un'antichissima Divinità italica il cui culto e la cui memoria ancora sopravvivono in molte zone dell'Italia Centrale. Il suo nome richiama alla mente l'immagine di luoghi caratterizzati da un'aria irrespirabile, sulfurea, pestilenziale, da cui viene la parola "mefitico" proprio ad indicare un odore nauseante e luoghi dove la vita non può attecchire. Il cristianesimo ha associato Mefitis ad una forza demoniaca e negativa: i suoi luoghi sono le porte dell'inferno cristiano, luoghi di pena e sofferenza eterna. Tuttavia nella tradizione religiosa romana, Mefitis non aveva un carattere negativo. Tutt'altro. Innanzitutto questi luoghi e la stessa Mefitis sono associati al mondo infero e ctonio, in particolare a quelle energie che hanno la capacità di riunire i quattro elementi fondamentali dell'universo: acqua, fuoco, terra, aria. Qui il fuoco sotterraneo fonde le rocce ed i metalli, l'acqua si trasforma in vapore e si liberano i gas più nascosti del sottosuolo che risalgono verso la superficie della terra. Mefitis è pertanto connessa in primo luogo a Tellus ed è emanazione diretta della stessa Tellus poichè Mefitis deriva "dall'Utero della Terra". Essa è quindi una forza femminile che dà la vita e che toglie la vita. In passato molte persone si recavano in questi luoghi innanzitutto perchè conoscevano le proprietà salutari dei vapori che qui si potevano inalare. Ancor oggi molte persone si recano presso queste sorgenti di acque caldissime solfuree per rimediare a molte malattie dell'apparato respiratorio, per fare bagni curativi per la pelle, ecc... Infatti in molti di questi siti sono stati trovati numerosi ex voto dedicati a Mefitis. Inoltre questi vapori potevano provocare le trance e quindi diventavano luoghi dedicati alla divinazione. Anche la conformazione così peculiare di questi luoghi Mefitici è di grande ispirazione per la meditazione, contemplazione, ispirazione, visioni... Il tutto dovrebbe essere tuttavia eseguito con il supporto di un tutor. Tutto questo (forza femminile, proprietà curative, medicinali e magiche, divinazione) spiega quindi perchè con l'avvento del cristianesimo Mefitis ed i luoghi a lei dedicati sono stati collegati al Diavolo e alle streghe. Mefitis, come molte divinità italiche e romane originarie, non ha una rappresentazione antropomorfa: essa appare simbolicamente sotto forma di vapore dall'odore nauseante. Bisogna quindi avere grande rispetto per questi luoghi e ogni volta quindi che mi ci reco, il mio pensiero va sempre a questa antica Dea. It 's almost superfluous to recall the particular role that music holds within the Traditional Roman Spirituality, as well as in the so-called "ancient religions". You might first think about the close connection that exists in Pythagoreanism between mathematics, astrology, geometry and music. Similarly, one could cite the relationships between colors, planets, metals, Gods/Goddesses and musical notes. The music therefore connects us with a divine dimension, causes us pleasure for its ability to give us the perception of the divine harmony of the Universe. I remind that I exclude here the discussion about the use of music fro military aims. It was carried out with wind instruments firstly because they had to be heard by the soldiers. Signals for maneuvering were made in battle from these instruments . In addition, wind instruments are typical instruments inspired by Celestial and "Superi" Gods and Goddesses: the support of these forces was crucial in the battle. The wind instruments, also for their symbolism connected to wind, speed, to logos, are instruments that "announce" and are therefore associated with Mercury. It is however possibile to highlight two main sides related to music and instruments. The first side is connected to Apollo. The music in the Apollonian sense is the representation of the harmony of the universe. But the music is not only this. There is also a side connected to Dionysus that is completely different from the Apollonian side. The music is Dionysian when it transports us into a whirlwind of ecstasy and frenzy, when we are out of control, when we abandon rationality and enter into irrationality. See how any musician (whatever the genre of music that is playing) to appear as if in ecstasy, as held, as driven and motivated by an invisible force: let's observe a dancer caught in the maelstrom of dance (dance is another peculiar expression of the divine) as he/she may seem moved by an invisible divine force. Apollonian and Dionysian musics are both sublime expressions of the divine. Both at the same time contribute to make us feel the presence of the Gods and Goddesses in the World, in Nature, in the Universe: the first mainly with the harmony, the second mainly with the rhythm. Similarly musical instruments become tools of symbolic expression of the divine. The Apollonian music is more closely related to string instruments as the vibration of the string is a symbolic expression of the underlying strength of the Universe and its harmonic architecture and geometry. The most amazing thing is that modern science seems to suggest that the basis of the material existence is just a vibration. The Apollonian music, as well as stringed instruments, is therefore a Celestial and "supera" music with a higher content of masculine energy. 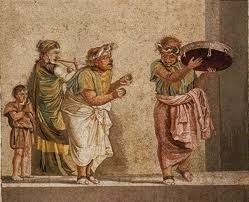 The Dionysian music is more expressed with percussion instruments. These are tools that are "move your body", generating possession: it is a "underworld", "underground" music, with a high prevalence of female energy. 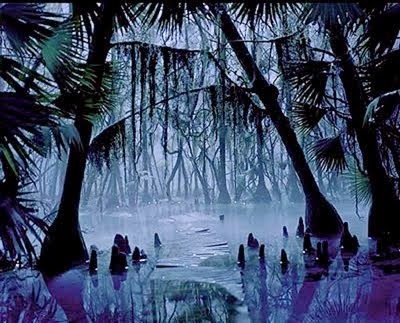 From the depths of the Earth comes a sound swing, a rhythm of drums of underground and chthonic deities. The Arval brothers and sisters accompany their rites connected with the Earth with the drums performing a ritual dance "undulating" because the rhythm of the drum is pleasing to Mother Earth and all the Deities generating underground the plant and animal life on our planet on the basis of natural "rhythms" (not incidentally). It is therefore not a coincidence that the monotheistic religions were is strong opposition against the Dionysian music and instruments, against the rhythm, also because crucial expression of the feminine energy. A survival of the ancient traditional dionysian music in Italy is the taranta ballad mainly by women where the main instrument is the "tamburello". E' quasi superfluo ricordare il ruolo particolare che la musica detiene all'interno della spiritualità Tradizionale Romana, così come in tutte le declinazioni delle cosiddette "religioni antiche". Si potrebbe in primo luogo pensare alla stretta connessione che nel Pitagorismo esiste fra la matematica, l'astrologia, la geometria e la musica. Allo stesso modo si potrebbero citare le relazioni fra colori, pianeti, metalli, Divinità e note musicali. 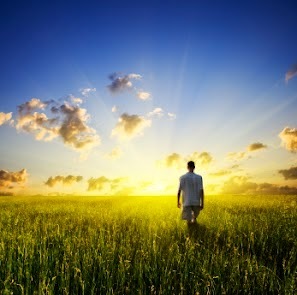 La musica pertanto ci connette con una dimensione divina, ci provoca piacere per la sua capacità di darci la percezione dell'armonia divina universale. Premetto che escludo in questa sede la discussione circa l'uso militare della musica. Essa veniva effettuata con degli strumenti a fiato in primo luogo perchè dovevano essere sentiti dai soldati: da questi strumenti venivano emanati i segnali per le manovre in battaglia. Inoltre gli strumenti a fiato sono tipici strumenti degli Dei e delle Dee "Superi", "Celesti": l'appoggio di queste forze era fondamentale in battaglia. Gli strumenti a fiato, anche per la loro simbologia connessa al vento, alla velocità, all'inafferrabilità, al logos, sono strumenti che "annunciano" e sono quindi connessi a Mercurio. E' possibile comunque evidenziare due versanti principali legati alla musica e agli strumenti. Il primo versante è quello connesso con Apollo. La musica in senso apollineo è la rappresentazione dell'armonia dell'universo. Ma la musica non è solo questo. Esiste anche un versante collegato a Dioniso che è completamente diverso dal versante apollineo. La musica è dionisiaca quando essa ci trasporta in un turbine di estasi e di frenesia, quando siamo fuori controllo, quando abbandoniamo la razionalità ed entriamo nell'irrazionalità. Osservate come un qualunque musicista (qualsiasi sia il genere musicale che sta suonando) appaia come in estasi, come posseduto, come guidato e mosso da una forza invisibile: osservate un ballerino catturato dal vortice della danza (la danza è un'altra espressione peculiare del divino) come possa apparire mosso da una forza divina invisibile. Musica apollinea e musica dionisiaca sono entrambe espressioni sublimi del divino. Entrambe concorrono contemporaneamente a farci percepire la presenza degli Dei e delle Dee nel Mondo, nella Natura, nell'Universo: la prima principalmente con l'armonia, la seconda principalmente con il ritmo. Allo stesso modo gli strumenti musicali diventano strumenti simbolici di espressione del divino. La musica apollinea è maggiormente connessa agli strumenti a corda poichè la vibrazione della corda è un'espressione simbolica della forza alla base dell'Universo e della sua armonica architettura e geometria. La cosa più stupefacente è che la scienza moderna sembra suggerire che alla base della materia ci sia proprio una vibrazione. La musica apollinea, così come gli strumenti a corda, è quindi una musica "supera", "celeste", a maggiore contenuto di energia maschile. La musica dionisiaca si esprime maggiormente con gli strumenti a percussione. Si tratta di strumenti che "fanno muovere il corpo", generano possessione: è una musica "infera", "sotterranea", a forte prevalenza di energia femminile. Dalle profondità della Terra proviene un suono battente, un ritmo di tamburi delle Divinità sotterranee e ctonie. I fratelli e le sorelle Arvali accompagnano i loro riti collegati alla Terra con dei tamburi effettuando una danza rituale "ondeggiante" porprio perchè il ritmo del tamburo è gradito alla Madre Terra e a tutte le Divinità Sotterranee che generano la vita vegetale ed animale sul nostro Pianeta sulla base di "ritmi" (non casualmente) naturali. Non è quindi un caso che le religioni monoteiste si siano accanite con una certa ferocia contro la musica e gli strumenti dionisiaci, contro il ritmo, anche perchè espressione cruciale dell'energia femminile. Una sopravvivenza della musica dionisica tradizionale antica in Italia è la taranta ballata principalmente dalle donne in cui lo strumento principe è il "tamburello". Ottobre rappresenta l'ultimo mese dell'anno attivo e simbolizza un periodo di intensa spiritualità. In questo periodo infatti la Natura si avvia verso una fase di morte ciclica. Questo mese viene dedicato alla Dea Pomona, Dea dei Frutti e dei Raccolti, poichè questo periodo è un periodo di raccolti (vendemmia, olive) e perchè ricordiamo quanto abbiamo raccolto durante l'estate. Il mese di Ottobre anticamente era connotato da alcune feste pubbliche molto importanti: innanzitutto i Ludi Augustales (7 - 13) ed i Ludi Capitolini (15). I primi ricordavano il Divo Augusto (sarà importante affrontare il concetto di Divus distinto da quello di Deus). I Ludi Capitolini ricordavano la cacciata dei Galli dal Campidoglio. Altrettanto importante è sottolineare che queste festività venivano celebrate con dei Ludi ovvero con manifestazioni legate alla Vittoria. Molto più complessa è la celebrazione dell'October Equus che non può essere effettuata in questa sede. Da ricordare i Meditrinalia del 10 Ottobre ovvero feste "curative": durante questa festività si libava con vino nuovo e si pronunciava la seguente formula "novum vinum libo, novo veteri morbo medeor" (libo con vino nuovo affinchè il nuovo curi i vecchi mali). 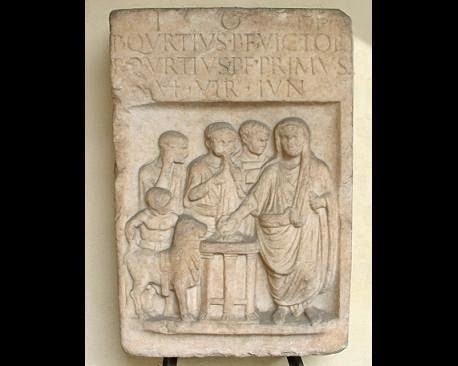 Una festa molto antica e molto sentita era quella delle Fontinalia (Festa delle Fonti sotterranee ed invisibili) del 12 ottobre in onore di Fons/Fontus figlio di Giano. Questa festività si lega alle fonti e sorgenti delle acque invisibili e che diventano visibili. Le sorgenti, i pozzi e le fontane vengono decorate con corone di fiori e si gettano fiori nei fiumi nei pressi delle sorgenti. 15 ottobre: complessa festa e rituale dell' "October Equus". Il 19 ottobre si svolgeva poi l'Armilustrium ovvero, poichè si concludeva l'anno militare iniziato il 9 marzo, si purificavano le armi e le si riponevano nel Tempio di Marte fino al successivo 1 marzo. Il 28 ottobre si svolgevano le Isia ovvero la festa di Iside. October represents the last month in the active sacred year symbolizing a period of intense spirituality. During this period Nature tends to a phase of cyclical death. October in the past was characterized by many important festivities: first of all the Ludi Augustales (7 - 13) and the Ludi Capitolini (15). The former were related to the Emperor Augustus become "Divus" (in a next post I will analyze the concept of "Divus" distinct from the concept of "Deus"). On October 12th the ancient festivity of Fontinalia is celebrated - the festivity of "underground and invisible springs". This festivity is dedicated to Fons/Fontus (son of Janus) and it is linked to springs and wells where invisible waters become visible. Springs, fountains and wells are decorated with wreaths and flowers are put in the rivers. On October 28th Isia, festivity dedicated to Isis, were celebrated. "Si vis pacem, para bellum" (if you want peace, prepare for war) is one of the most famous Latin mottos. For many, it is merely an expression of the military: military training in peacetime to adequately address the condition of war. In other words, we could say that the wealth of wartime is the preparation in peace time. In fact, this expression shows far deeper and complex implications . The pivot of this expression is in fact the idea of preparation. It is important not to ever get caught unprepared in the face of adversity (war). The achievement of the same Pax Deorum, which is a state of harmony with the world and with Nature, first requires a long and constant preparation for not being found weak and lost in the face of adversity. This is also an important implication of the concept of Colere Deos/Deas. Cultores and Cultrices do not pray, according to a "modern" and profane perspective which i.e. connotes monotheism, but "cultivate Gods and Goddesses": that's they prepare themselves. This is the essence of Traditional Roman Spirituality. Preparation in time of peace, when it seems that everything runs smoothly and nothing seems to trouble us, means to achieve those tools - through study, practice of otium, care of the spirit, martial arts, the agricultural/gardening activities, walk in the way of meditation, spiritual exercises - necessary to deal with adversity. It is obvious that it is not an easy and simple path. It takes a lot of effort because the precondition for achieving the Pax Deorum is first resolve your own "inner war." We must first be prepared to dominate our inner chaos, our agitation if we are to achieve spiritual peace. Inner peace is a precondition for peace outside. Unpreparedness introduces us into a state of war in which we will be surely defeated. "Si vis pacem, para bellum" means giving the highest priority to preparation, not trusting to chance, to luck: we have to be everyday prepared and practiced not to be found weak in adversity struggling in a tangle of unfavorable situations. And when everything seems to be going well, we have to calm our mind because even exaltation in time of peace is a prerequisite for a weakness in the condition of war. Who exalts himself in good times, falter in adversity. "Si vis pacem, para bellum" (se vuoi la pace, preparati alla guerra) è uno dei motti latini più noti. Per molti, si tratta di un'espressione meramente di ambito militare: addestrati militarmente in tempo di pace per affrontare adeguatamente la condizione di guerra. In altri termini si potrebbe dire che la ricchezza del tempo di guerra è la preparazione in tempo di pace. In realtà questa espressione presenta dei risvolti molto più profondi e complessi. Il perno di questa espressione è infatti l'idea di preparazione. E' importante infatti non farsi mai cogliere impreparati di fronte alle avversità (guerra). Il conseguimento stesso della Pax Deorum, ovvero una condizione di armonia con il mondo e con la Natura, richiede in primo luogo una lunga e costante preparazione per non farsi trovare deboli e smarriti di fronte alle avversità. Questa è inoltre un'implicazione importante del concetto stesso di Colere Deos/Deas. I Cultores e le Cultrices non pregano, secondo una prospettiva "moderna" e profana che connota ad esempio il monotesimo, ma "coltivano gli Dei e le Dee": cioè si preparano. In questo c'è l'essenza della Spiritualità Tradizionale Romana. Preparazione in tempo di pace, quando tutto ci sembra che scorra per il meglio e nulla sembra turbarci, significa munirsi di quegli strumenti - tramite lo studio, la pratica dell'otium, la cura dello spirito, le arti marziali, la coltivazione della terra, il camminare in modo meditativo, gli esercizi spirituali - che ci saranno necessari per affrontare le avversità. E' ovvio che non è un percorso facile e semplice. Ci vuole molto sforzo perchè la precondizione per conseguire la Pax Deorum è in primo luogo risolvere la propria "guerra interiore". Dobbiamo in primo luogo essere preparati a dominare il nostro caos interiore, la nostra agitazione spirituale se vogliamo conseguire la pace. La pace interiore come presupposto per la pace esteriore. L'impreparazione ci avvia quindi ad uno stato di guerra in cui molto probabilmente usciremo sconfitti. "Si vis pacem, para bellum" significa quindi dare la massima priorità alla preparazione, non affidandosi al caso, alla fortuna: bisogna prepararsi ed esercitarsi quotidianamente per non farci trovare deboli nelle avversità arrancando in un groviglio di situazioni sfavorevoli. E quando tutto ci sembra andare per il meglio, bisogna calmare la mente perchè anche l'esaltazione nel tempo di pace è un presupposto per una debolezza in condizione di guerra. Chi si esalta nei momenti favorevoli, vacillerrà di fronte alle avversità.